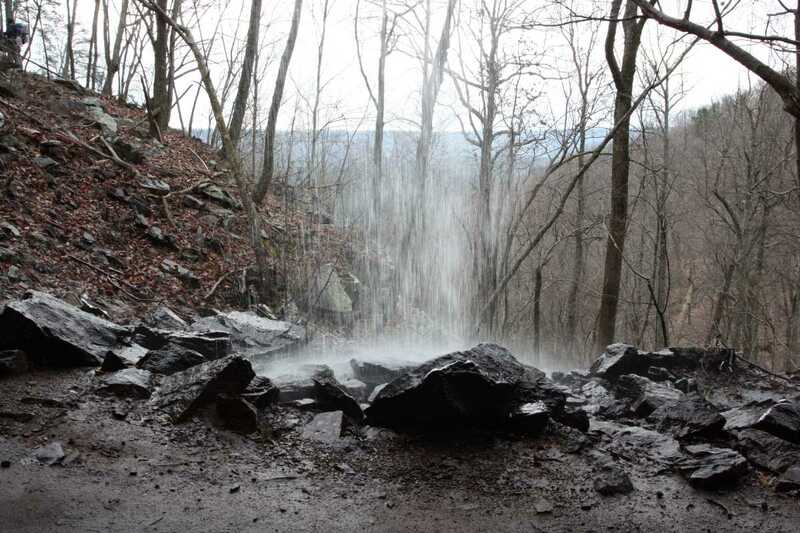 One of the few hikes that gets better during the winter, the Keown Falls / Johns Mountain double loop trail offers great views and a waterfall along its 4.5 mile path. 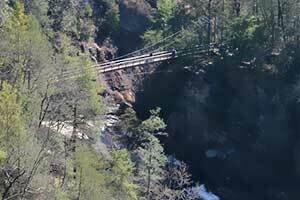 A separate trailhead at each loop allows options for all skill levels, but for those that seek a moderate challenge over the course of a few miles, this is a great option. Solitude seekers will also enjoy this hike in all but the warmest season. 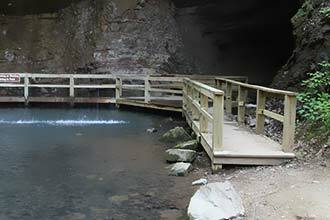 The best way to enjoy this double loop hike is to start at the Keown Falls Picnic Area and get the climbing done in the first half of trip. 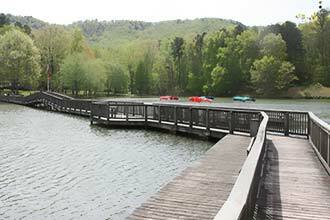 The Keown Falls Loop trailhead has restrooms and several picnic tables along quiet streams, but the parking lot is rather small. 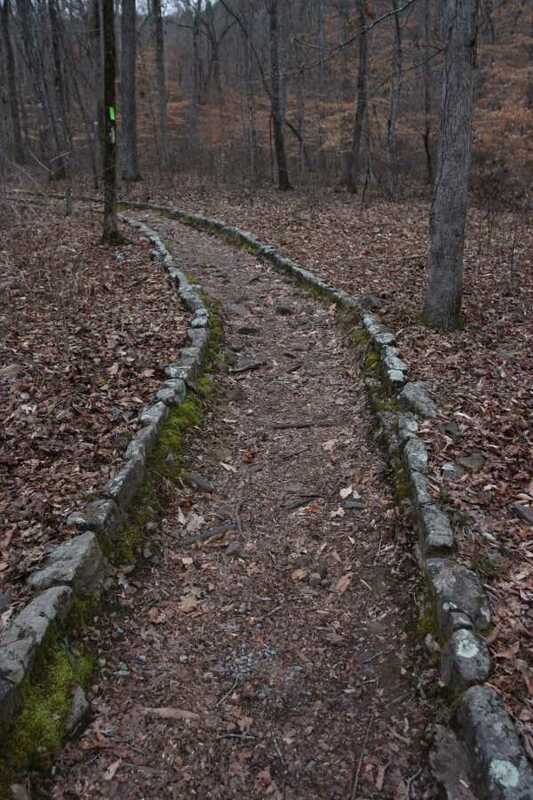 Head out on the trail, following the well maintained rock-lined path. 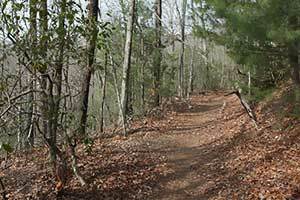 This section of trail also shares its path with the Pinhoti trail. 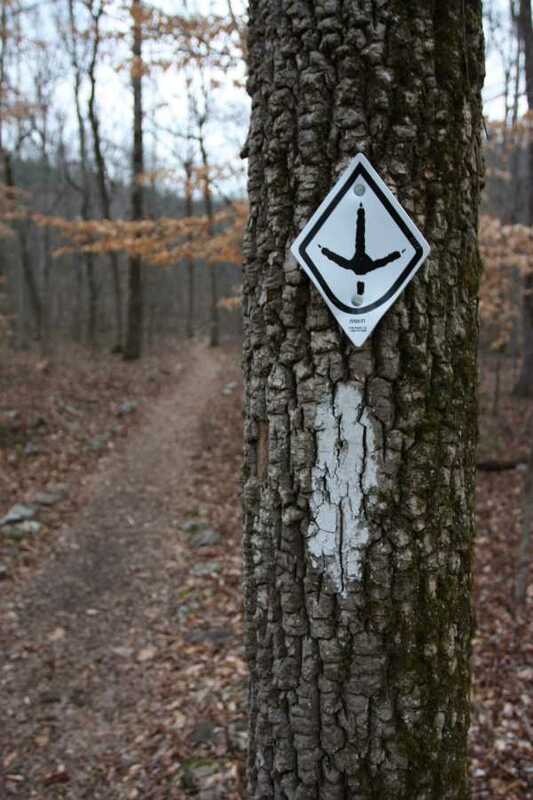 At .1 miles, the trail splits; take a right, following the sign to the overlook. Rock-hop a stream crossing and climb the moderately steep switchbacks up the hillside. 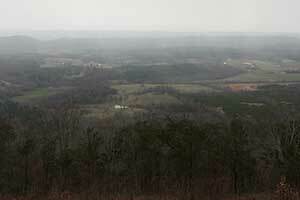 There are several good views along the way up, even more so in winter. 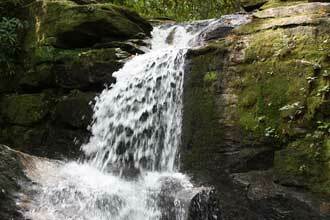 Just before approaching Keown Falls, you will climb a set of steps that split halfway up. 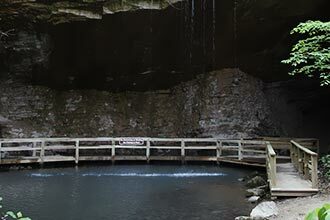 Continue up the steps to the right to climb above the falls to the observation deck. 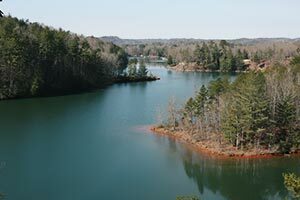 Just past the observation deck is the Johns Mountain Loop. The two loops do not intersect at any point but are joined by way of this short connector trail, which allow both to enjoy the falls. At the sign, press on to the right, again the shorter route to the top of the ridge. 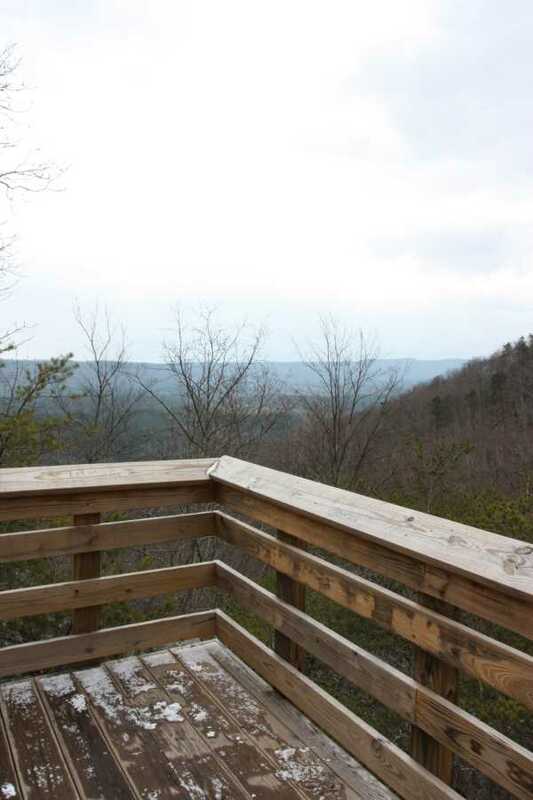 Travel the .8 miles from the connector trail to the ridge top and the Johns Mountain overlook and trailhead. The first half of this section is easy while the second half ascends most of the 430 feet of elevation gain. 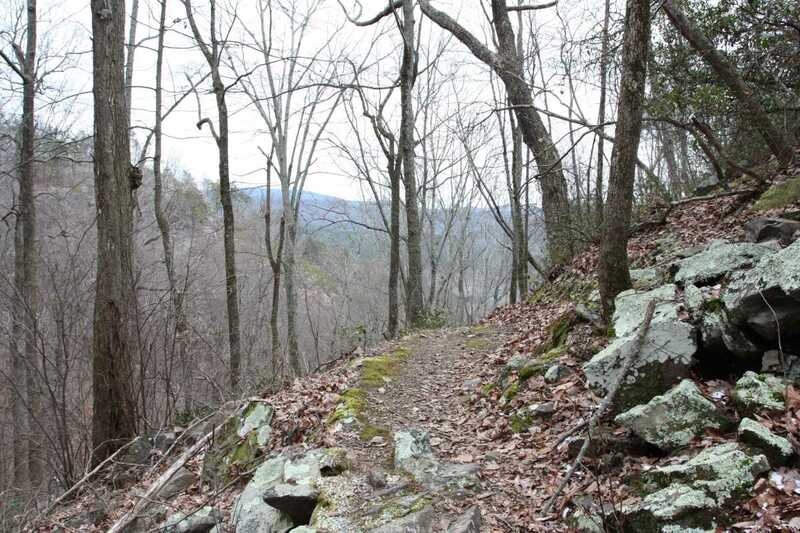 About a third of the way up is a short side trail with a good view to the northeast. 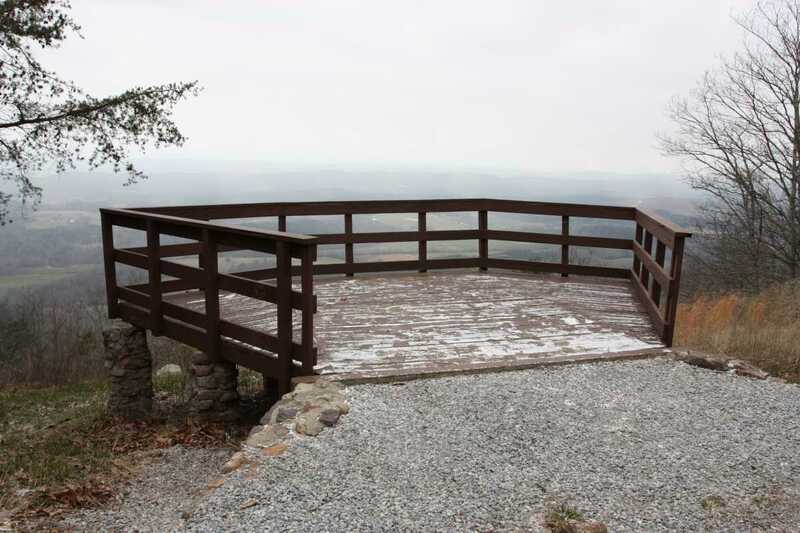 Arrive at the small parking lot of Johns Mountain, taking in the excellent views of the ridges and valleys to the west from the overlook. The rest of this double loop is all downhill. 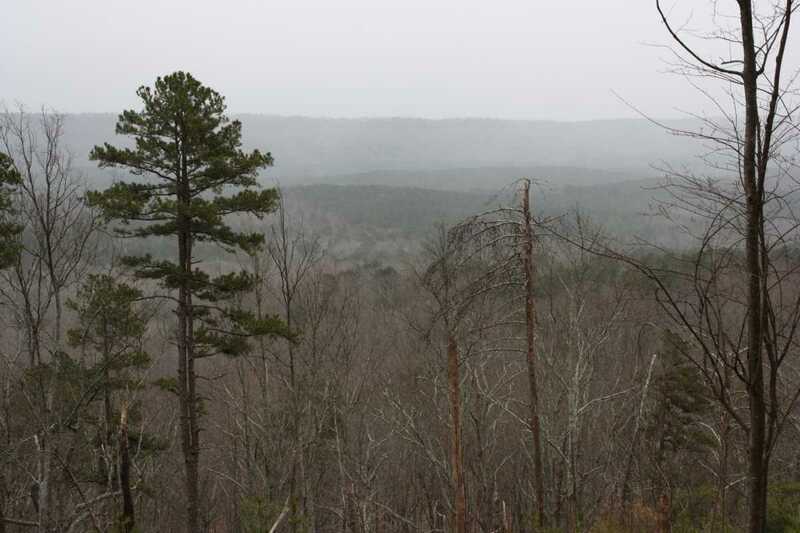 Start by heading south along the ridgeline from the overlook. Passing a communication tower, this level 1.3 mile stretch is very rocky, but easily traveled. 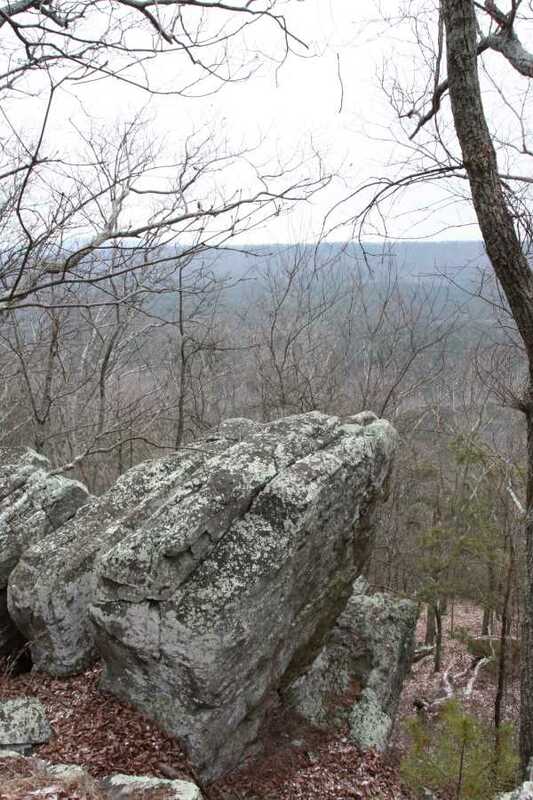 Occasional rock cliffs and large boulders populate the ridge. Some winter views are to be had along here as well. The trail curves back around to the east and follows lower along the ridge. Again, rock cliffs and a few large boulders add interest here. After crossing a small stream the trail returns back to the connector trail at 3.6 miles, crossing over the stream feeding Keown Falls by way of a small footbridge. Head down the steps and this time down to Keown Falls. 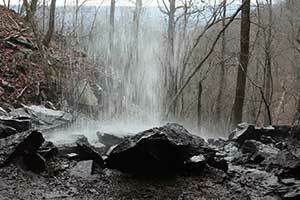 Although this is not a powerful waterfall even after rain, it is interesting as the trail travels behind the falls, under the rock outcropping from which it drops. Pay attention along this section, most of the trail along here is over wet, slick rocks. 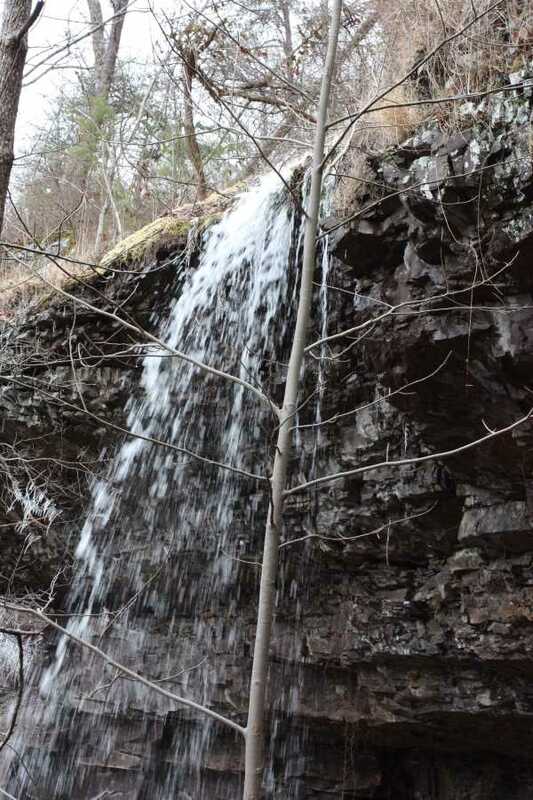 Once beyond the falls, the trail narrows as it clings to the steep hillside, navigating over some occasionally wet areas before coming to a second waterfall in another .1 miles. 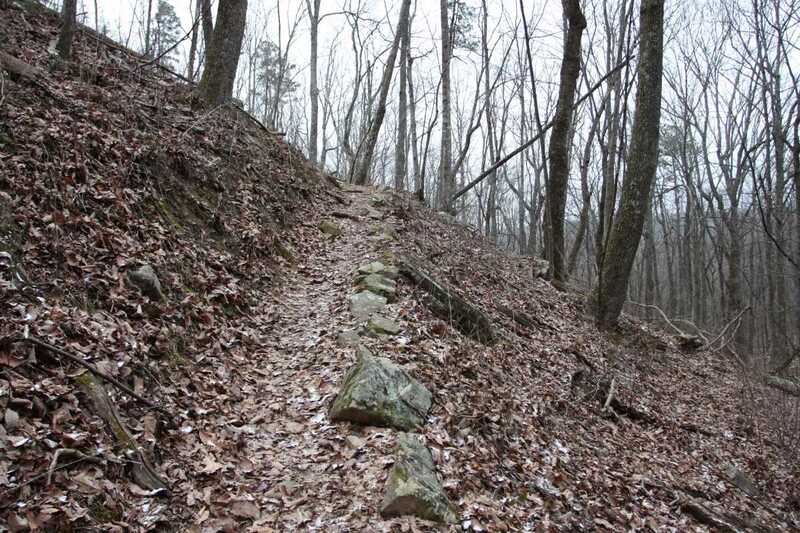 To finish out the hike, continue down the trail which drops steeply at first, then more gradually until it reconnects the loop. 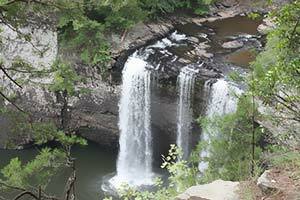 Hike the last .1 miles back to the Keown Falls Picnic Area to end the double loop. The hike is definitely worth a trip. 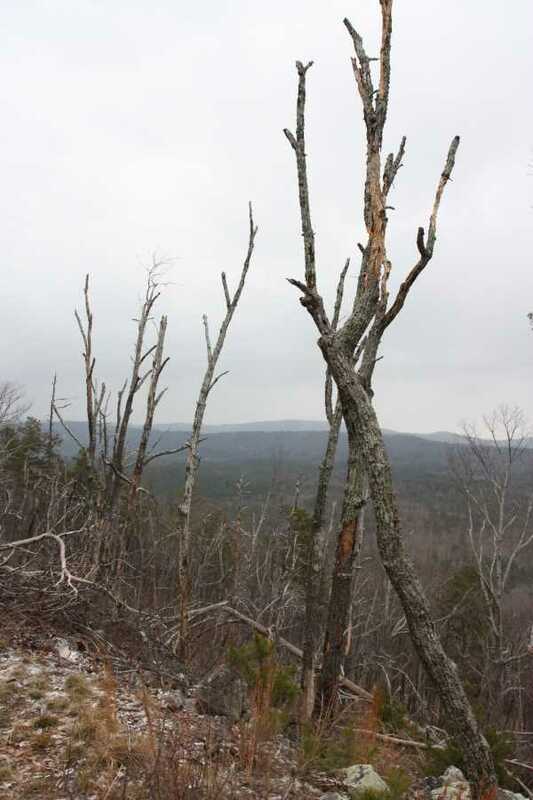 Better views and almost complete solitude in winter makes this a go to hike when the temps drop. Not too challenging for most but it does have a few steep sections. 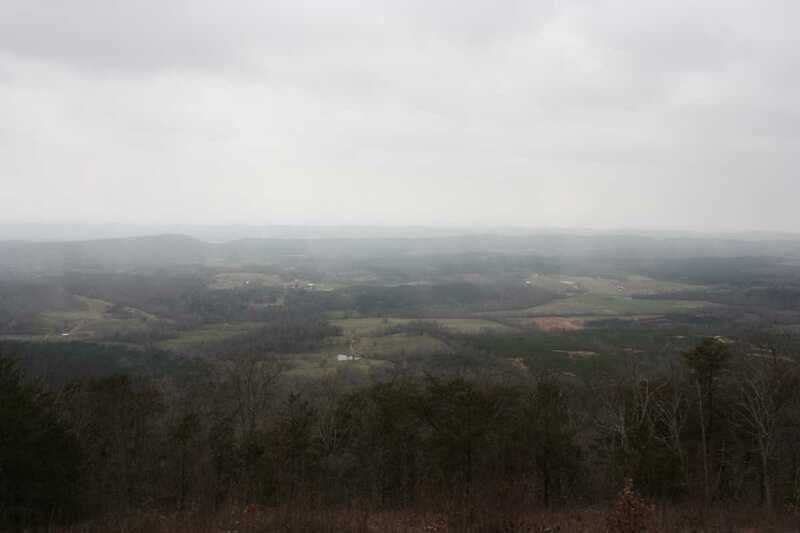 Great view at the Johns Mtn trailhead.